The scholarship made my life after college possible, in a way I wouldn’t have anticipated. Danny, Josh and Benji Schwartz EACH received scholarships from the College Men’s Club and are emblematic of DOZENS of “brother pairs” and “triplets” who have been helped by the Club in its nearly 100 year history. 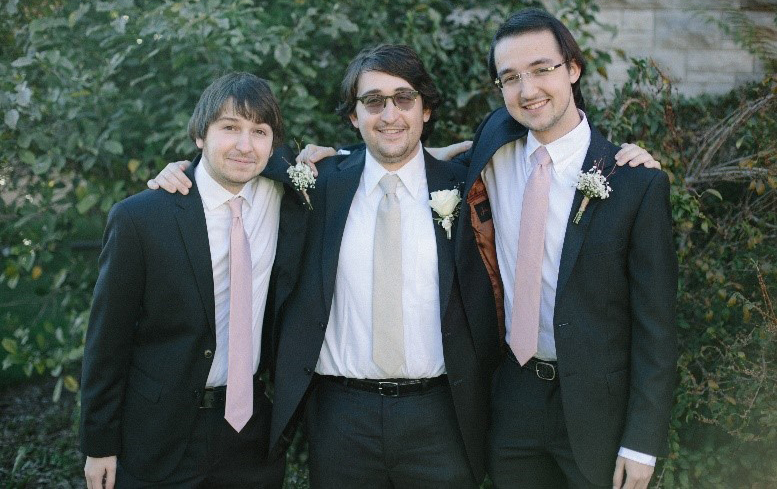 The Schwartz brothers hail from a loving, intact family, but the burden of sending three boys to college was more than the family could handle on its own. The family was also determined not to have the boys exit college with crushing debt burdens. So they did without for many years, and counted on the assistance of the College Men’s Club and others to make their college dreams come true. Danny is now a successful free-lance illustrator (www.dannyschwartz.com), but struggled to make ends meet in the early years after college. He worked for years at a Crumbs Bakery in his home of Astoria NY selling pastries to make ends meet. Success would never have found him if he had a huge loan burden. As Danny puts it: “The scholarship made my life after college possible, in a way I wouldn’t have anticipated”. The College Men’s Club is proud to be associated with three such fine young men.